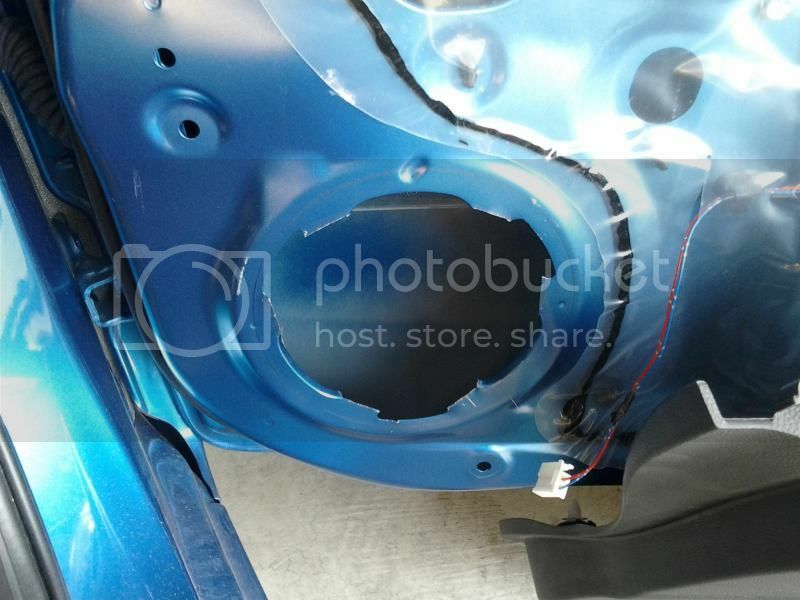 Probably one of the cheapest improvements in sound quality in most cars is to replace the factory speakers. However, it is an area that a lot of people are very cautious about because it does entail taking your new car apart! 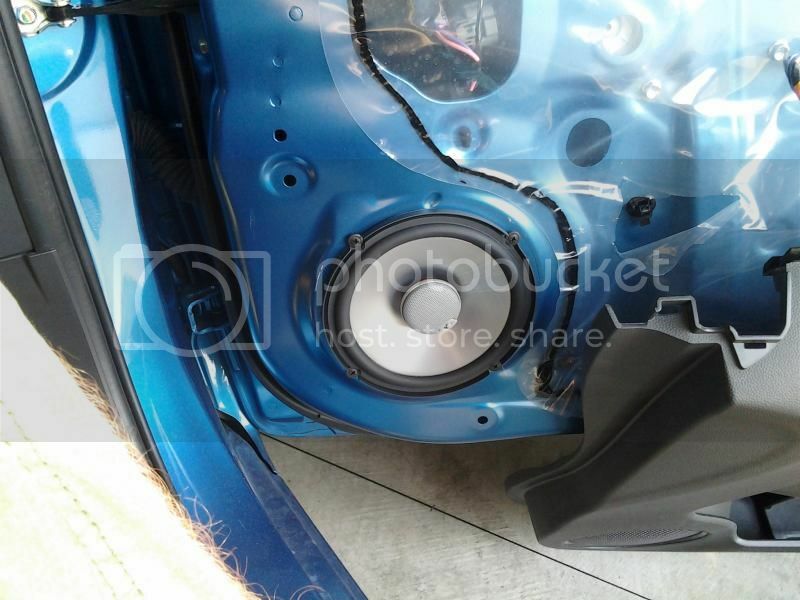 So, here is a step by step process of replacing your factory speakers. 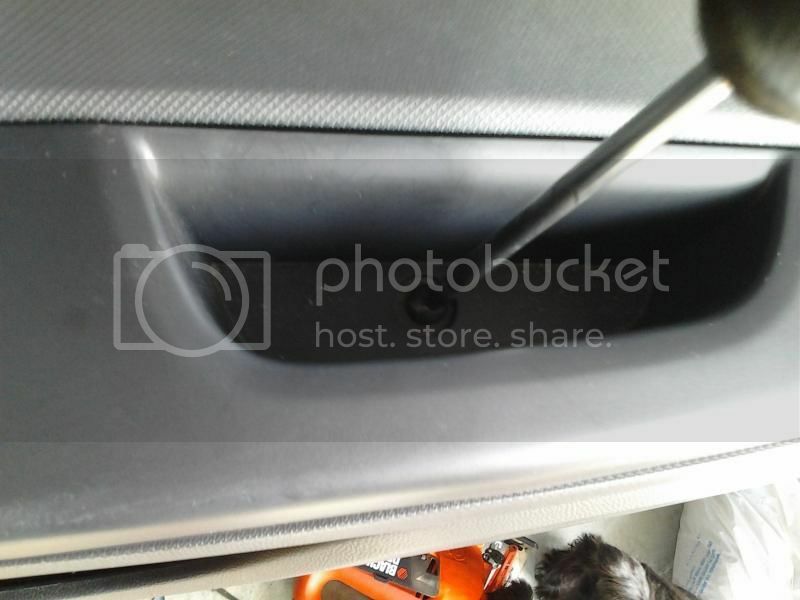 Now grab the bottom of the door panel and pull it straight to you. Once the bottom and sides of the panel are released, simply raise the panel straight up and off the door. PLEASE NOTE: There will still be 2 cables connected, 1 for the door handle and one for the door lock. 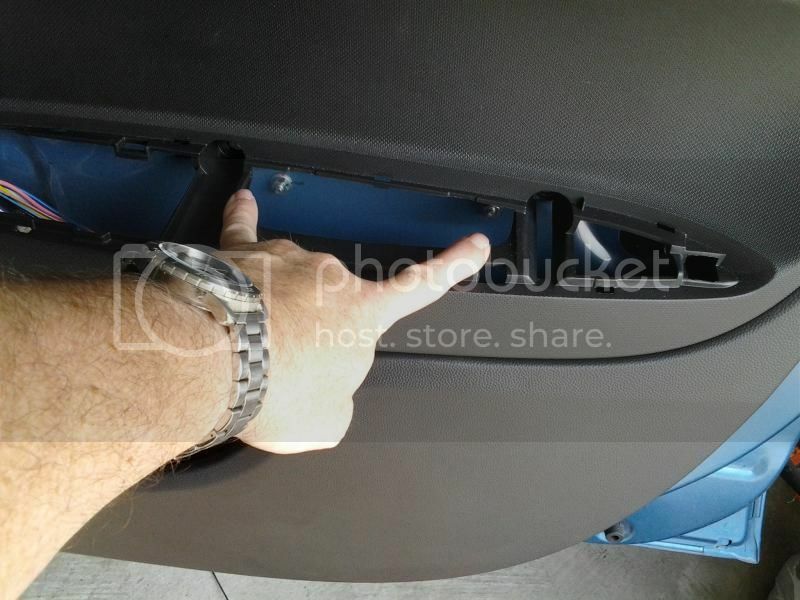 You can swivel the door panel and have it to the side while you replce the door speakers. So, it is not necessary to remove these cables. 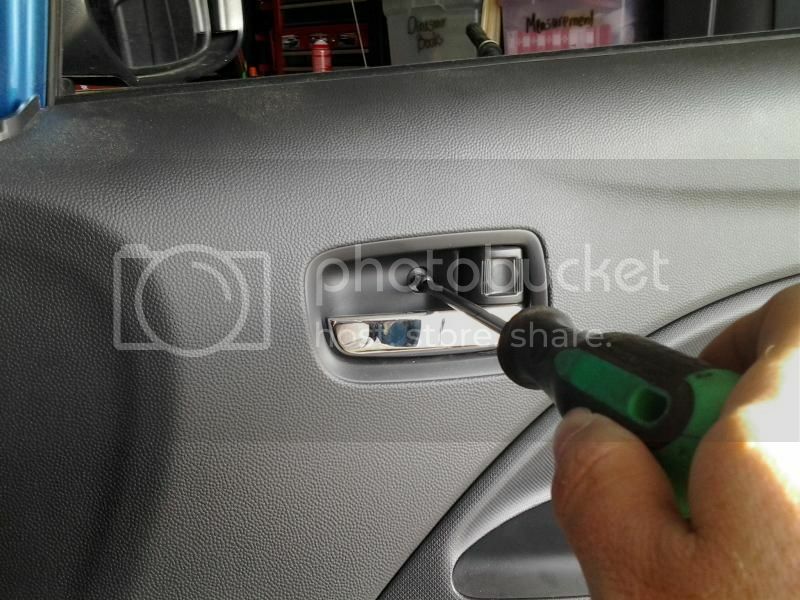 Re-installation of the door panel is the reverse of the removal. The mids are unchanged. Clear and very defined. The highs are MUCH improved. With the stock speakers, I had to have the treble on the radio turned up almost all the way, but the highs were still somewhat muffled due to the stock dual cone speaker design. Now, I have the treble flat and the highs are VERY clear and defined. The lows are worse and better at the same time. At low volume levels, the stock lightweight speakers have a better low end bass response. At moderate volume levels, the 2 speakers are very similar. At high volume levels, the Infinity Reference 6 1/2" speakers are light years ahead of the stock speakers with the bass control being flat. From just listening to the front speakers being upgraded, I would imagine a good pair of front and rear speaker replacements would suffice most people's wants for a better sounding stereo. Nice write up, but I can't refrain from adding my two cents. 1) You will want to cut out the speaker hole with shears rather than a saw, because a saw creates metal shavings, and they rust through the door like hell if left in place. If you do use a saw, at least use a vacuum cleaner to get rid of any shavings. 2) When the speaker is removed, it may be a good idea the put cavity spray inside the lower part of the door including corners. 3) The speaker must have some protection against water dripping on it. Try to preserve the original plastic sheeting in the entire door area, and tape it if torn. Water always enters the doors and always make its way down. Use a piece of plastic, maybe an old plastic bag if in doubt. 4) Getting optimal sound: If you tap the outside of the door with your hand, it will sound like a tin drum. The speaker will also make that tin drum sound off during normal operation, and those resonance tones will always accompany the the sounds coming from the speaker. In other words, sound quality will suboptimal, regardless of the quality of speaker, because of overlaying resonances. 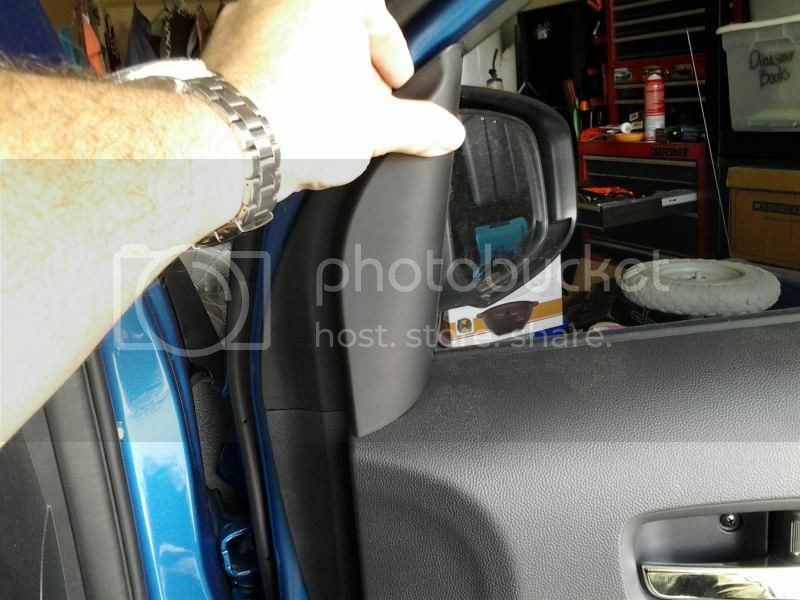 To counteract this, all you have to do is add a minimum of soundproofing to the doors. There are plenty of good products on the market. You could also even use some left over PVC floor-covering, or some asphalt-cardboard roofing. Two pieces the size of a piece of letter paper firmly glued with some contact cement will do the trick. This adds some weight to the sheet metal, and resonances are thus dampened. Last edited by foama; 09-23-2014 at 07:07 AM. I used a saw because sheers have a tendency to bend the metal, thus you end up with air leaks around the speaker and decreased bass response. Overall I am MUCH more satisfied with the sound of the car now than before. These speakers are also more effecient than the stock speakers. I have to fade the radio to the back to 4 in order to be able to hear the back speakers. So, I typically leave it faded to the back at 2 to get a nice amount of rear fill and to pull the sound stage back off the dash just a bit. Dude, thanks!! How frustrating was it to find out you had to saw out the speaker hole??! I would have been SO pissed! Most cars you don't have to worry about this and maybe, you just have to drill out new mounting holes. Why do our cars have to have this weird design?? In addition, how did the stock speakers fit in the triangular recess then if the after market ones were comparable? Yes, it was a bit frustrating when I took speaker out to see the odd opening. However, after having to modify things in the past on new cars, I did not hesitate to grab the saw. The reason why Mitsubishi does this appears to be a cost saving measure. The bracket that rotates and clips into the door appears to be made into the frame of the speaker. So, on the assembly line, it is VERY easy to just clip the speakers into place instead of screwing them in place. It is also slightly lighter since no screws are needed. The good news is that it appears as though there is a LOT of depth available. With the window down all the way, it does not inhibit the depth of the speaker at all. 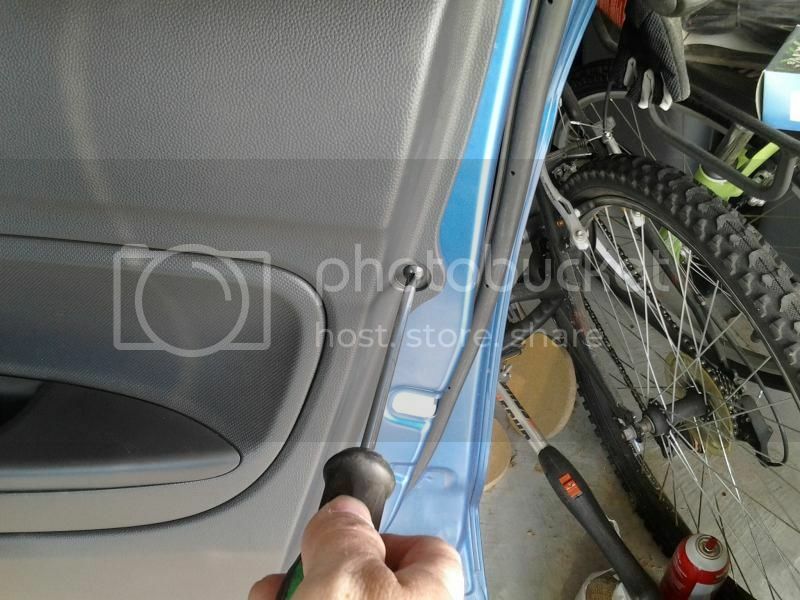 It appears as though the only restriction is the depth of the outer door skin. 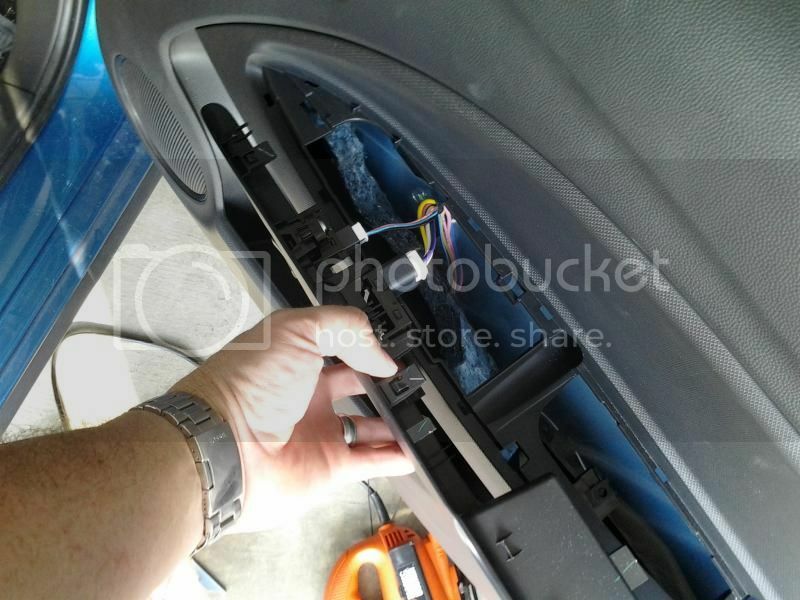 I would venture to say that you may even be able to install an 8" speaker in the stock location. The limitation to the stock system, besides the speakers, appears to be the tiny wire and small power output of the stock radio. If you really want good quality sound, you are going to need to run new, larger gauge wire to the speakers from either an aftermarket radio, or from an amplifier. The stock wiring is either 20 or 22 gauge. 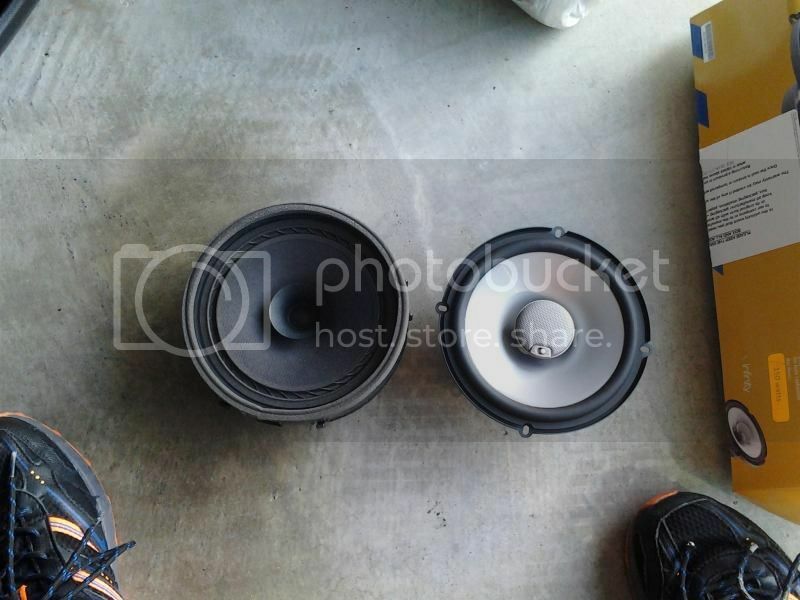 Can you post a pic of the back of the stock speaker? 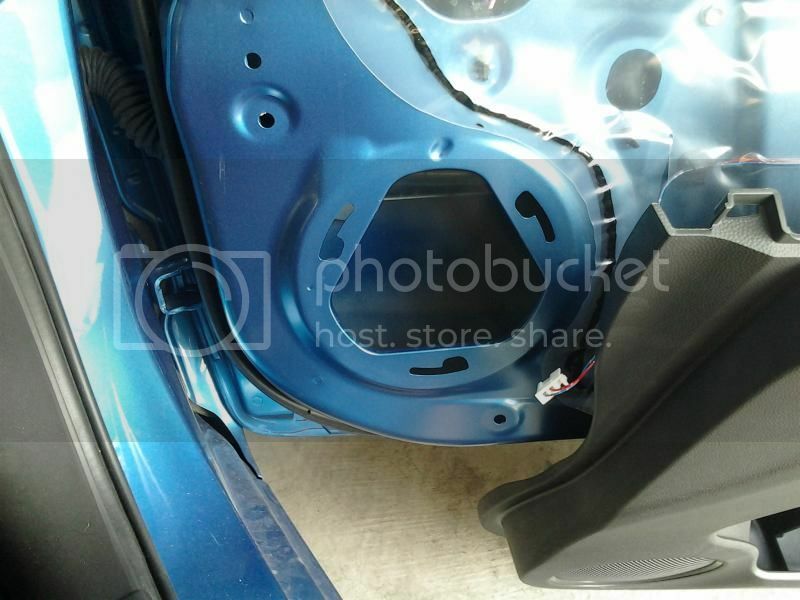 Is the mounting bracket removable from the factory speaker? I would make a spacer ring before I cut any sheet metal. Crutchfield sells a universal set that would work just fine in this application. What did u use 2 cut the door metal?